When it comes to making plans of how to take good care of your car, it’s not the right to take corners. You want always to feel confident as you walk away from your car because you are sure it is safe. How can you be assured of your car's safety? Is your car alarm sound working? Well, these are examples of the questions that would cross your mind as you think of your cars safety. Let’s be honest, most people love their cars. They are some of the most prized possessions anyone can have, not to mention the services they offer. It is not unusual for people to add extras in their vehicles that make them vulnerable to theft. For this reason, you should always care about your cars safety. We all recognize how a car alarm sounds. It is very common to hear loud sirens blaring at night, and mostly we ignore the sound and sleep. It’s as if the sound has become the city’s soundtrack. This is why you need an alarm system that is more than a simple siren blast. Here at Elkhart Mechanics, we specialize in car alarm installation. We understand that cars are important for transportation and that their vulnerability to damage, robbery and theft needs to be minimized. The car alarm systems we install can help keep the vehicle safe while deterring potential criminals. Car alarms come in various sizes and shapes, and incorporating them requires a professional so as to get the best and desired results. We always advise owners to keep in mind that car alarms constantly evolve with technology, and not everyone keeps up. Although the price is a constant factor when purchasing everything, we always stress to our customers the importance of choosing an alarm based on quality and not price. Models available in the market come in two varieties: passive and active. 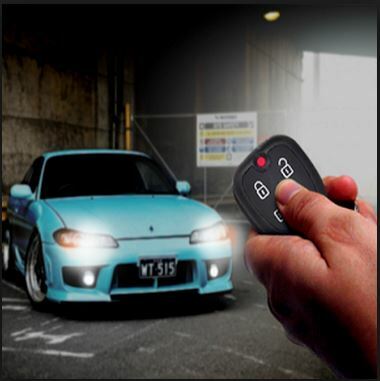 A passive alarm protects the car after you park and exit, and it sounds an alarm when touched or harmed in any way. An active alarm, on the other hand, requires a user input from a remote control. Passive alarms are more expensive, but we consider it a better investment for our esteemed customers especially when considering the car value. We always advise our customers on the advantages and disadvantages of each model so that they can make informed choices that will meet their needs. We are licensed and experienced in handling all kinds of alarm and security systems, and we hire certified and experienced employees. We always welcome any questions in regards to our previous jobs so our clients should feel free to check our work history. Our staff is always ready to install and monitor the alarm systems regularly, and if there is an emergency case, we are just a call away! Do not hesitate to give us a call in case you have any question in regards to our services. You can further check our website for more details. When we install your car alarm, you will be grateful you used our services!